NVIDIA has released a new set of graphics drivers for all available GeForce graphics cards. R375.70 brings optimizations and support for Titanfall 2, Call of Duty: Infinite Warfare, Call of Duty: Modern Warfare Remastered, The Elder Scrolls V: Skyrim Special Edition, Obduction, and Dishonored 2. R375.70 comes with the support of latest GeForce GTX 1050 Ti and GTX 1050. R375.70 provides the same OpenGL and Vulkan support than previous R375.63: OpenGL 4.5 with 390 OpenGL extensions and Vulkan API 1.0.24. 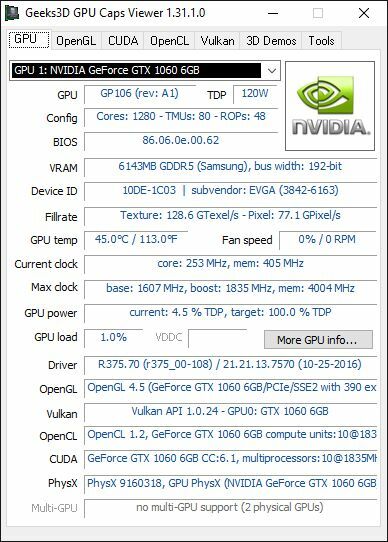 Nvidia GeForce 375.86 WHQL driver.